The Chinese leader’s one-week tour began on 15 November and included visits to Papua New Guinea, Brunei and the Philippines. These countries are situated in a region that has borne witness to clearly heightened tensions, on various “fronts”, between the two world powers, the USA and China. The escalations are particularly noticeable on the backdrop of the slowdown in positive developments previously achieved on the Korean Peninsula. And although the inter-Korean dialogue continues (in “guerilla warfare” style), the two main players involved in the Korean issue (i.e. the United States and PRC) seemingly cannot find the answer to the question of what happens next. It is difficult to envision positive developments in the northern part of a region engulfed in a power struggle between the USA and China, especially when tensions are escalating in its southern parts. A place, where the rivalry, between China and the US – Australian tandem, to exert influence over the island states of the Pacific Ocean is becoming more noticeable. An important step towards strengthening the position of Australia and the US in the region was the announcement that their joint military base is to be constructed in Papua New Guinea. The news came on the eve of Xi Jinping’s arrival in its capital, Port Moresby. The fact that the United States (together with Japan, Australia, and possibly India) started working on the planning stages of a project, meant to rival the New Silk Road, in recent months served as further proof of the worsening political climate in the region. Over the last few months, Western media outlets have not tired of reporting on the shortcomings of the Chinese initiative, which have allegedly become apparent in Malaysia and Pakistan. Attempts are being made to pour “new” (trade and economic) “wine into the old wineskins” of the initiative to create the Asian NATO (with its core constituted by the USA, Japan, Australia and India). The “wine” is being used to try and win over the right, from China, to exert influence over the nations in the Indian and Pacific Oceans. Brunei and the Philippines are among such countries. Evidence of acute tensions, engulfing the region, came in both subtle and open, back and forth verbal attacks, permeating the speeches of Xi Jinping and the US Vice President Mike Pence at the scheduled Asia-Pacific Economic Cooperation (APEC) summit, held in Port Moresby. Attendees of this event were unable to issue a joint communique for the first time in their history, due to the deep divisions separating its key participants. In this sense, the theme of APEC-2018, announced before the summit as “Harnessing Inclusive Opportunities, Embracing the Digital Future”, did not accurately reflect its outcomes. Some parts of Mike Pence’s speech at the summit were worthy of note. Firstly, the idea of Indo-Pacific’s growing importance in the issue of ensuring security and protecting national interests of the United States received further support. Hence, Mike Pence stated that the US presence (political, economic and military in nature) in the Indo-Pacific would only grow. Even today, for instance, the size of US investments in the region is over $1.4 trillion, which exceeds those made by China, Japan and South Korea all together. Having noted that trade is at the core of US interests and problems in the region, Mike Pence confirmed the course, embarked on by the US President, to establish bilateral trade and economic ties with foreign partners. 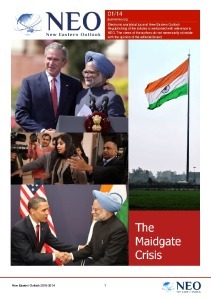 He added that a strategic partnership with India is a key element of the US vision for the future of the Indo-Pacific. With regards to China, Pence said that, on the one hand, the United States sought a better relationship with it, “based on fairness, reciprocity, and respect for sovereignty”, but, on the other hand, he added some harsh words towards PRK by stating that intellectual property theft and unfair trade practices were unacceptable. In other words, the usual grievances, which have become an invariable part of official US rhetoric towards Beijing, were voiced. 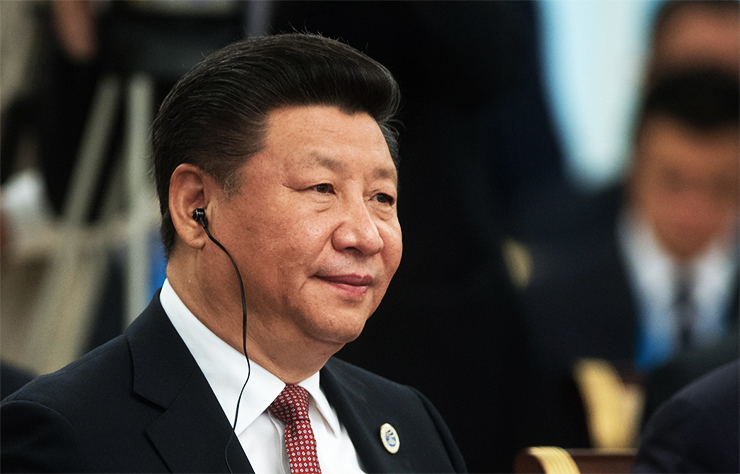 Xi Jinping’s keynote speech titled “Jointly Charting a Course Toward a Brighter Future” was completely in line with China’s key political and economic initiative One Belt One Road (or the New Silk Road), with its promise of multilateral trade and economic cooperation between PRC and the rest of the world, as well as increased openness of China’s own economy. Using the opportunity that the APEC-2018 summit was taking place on the Australian cruise ship Pacific Explorer to his advantage, the Chinese leader once again urged the attendees to “brave the rough waters of the global economy” together and “confront the many risks and challenges”. We would like to remind the readers that Xi Jinping used the metaphor of a “ship”, which set sail into the unfamiliar sea of global economy almost 40 years ago (referring to the start of the reforms by Deng Xiaoping), at the scheduled World Economic Forum in Davos, in January 2017. At the time, the media unanimously interpreted his speech to mean that Beijing was ready to raise the flag of globalization, discarded by the current US administration. Two years later, on the other side of the planet, China’s leader, in essence, called on other countries to join him on this “ship” and together “confront the many risks and challenges” which the sea of global economy is currently fraught with. A beautiful image to say the least, but PRC’s key political rival is yet to express any desire to answer the call made by Xi Jinping in Port Moresby. Moreover, we reiterate that signs have appeared indicating Washington is building its own “ship” with its basis in the old military and political alliance the “Quad”. And this is what, in reality, doomed APEC-2018 to fail. However, it seems that at least several island nations of the Pacific Ocean are ready to “set sail on the Chinese ship”. These nations were invited to Port Moresby by the host country of APEC-2018, as guests, and had a fruitful meeting with the leader of PRC. Then, General Secretary Xi Jinping went to Brunei and the Philippines, i.e. two out of ten ASEAN countries that (along with China and Taiwan) line the shoreline of the South China Sea. This sea has become the main “staging area” for the military and political confrontation between the two world powers in recent years. This serves as an explanation for their intensifying battle to exert influence over certain ASEAN nations. In the context of this rivalry, it is important to firstly review the goals and outcomes of the visit by the PRC General Secretary to Brunei and the Philippines. During their meetings with Xi Jinping, the leaders of both of these nations said the words that the Chinese leader so wanted to hear. For example, the President of the Philippines Rodrigo Duterte voiced his support for the idea of strengthening bilateral cooperation in implementing the New Silk Road project. We would like to reiterate that these words, expressing willingness to participate in this initiative, are a password of sorts for any country seeking to maintain long-term and fruitful relations with China. However, all the ASEAN countries have been using no less complimentary language when high level officials from the United States visit these nations. These countries simply do not have an alternative to this foreign policy strategy of keeping their balance in a field of tensions, created by the leading world players in the South China Sea. By and large, the Chinese leader’s visits to Papua New Guinea, Brunei and the Philippines illustrate the increasing multidimensional rivalry between the two world powers in the Indo-Pacific, which is becoming the focal point of the global political game of chess. Nevertheless, earlier we noted that a ray of hope appeared amidst the dense clouds that have gathered over the China–United States relations. One of the more noteworthy recent events to illustrate this occurred when Beijing gave permission to the US carrier strike group, headed by the supercarrier Ronald Reagan, to make a port of call in Hong Kong, and its arrival happened on 21 November. It is significant that the day before, a pair of B-52 strategic bombers flew near South China Sea islands yet again, most of which are contested by China and its neighbors, including the Philippines. Reporters have highlighted that granting permission to the request (rejected a month earlier), made by the US commanders, for US naval ships to make a port of call in Hong Kong was a gesture of good faith, made by the PRC leadership before Xi Jinping’s meeting with Donald Trump, scheduled to take place in Buenos Aires on the margins of the G20 summit. As far as yet another “pin prick” of the South China Sea by the US is concerned, we should note that PRC is a country with a very long history, which is accustomed to playing the long game.